Custom Quail Ridge home by renowned architects/builder –one of only a few homes in this exceptional South Hill community that is on the bluff. Over 6100 sqft of luxury, stone & hardwood flooring, floor-to-ceiling windows, gas fireplaces, & chef’s kitchen w/high-end appliances. Incredible master en suite. All main floor living (master/laundry/garage). Heated 3 car deep garage system. Full daylight basement w/fitness room & hot tub. Clearwater Properties of Washington, Inc. Outstanding, all-brick, 1-owner custom home designed by Glen Cloninger on Tower Mt. Privately placed on gated 20 acre site with beautiful sunset views. A contemporary flare sets this home apart from the normal with in-home 30 ft high atrium. Brand new kitchen in 2016 with all new appliances, cabinets & quartz counters. Master suite with walk-in closet & full bath with double sinks & jetted tub. Full daylight, walk-out lower level. Thank you for dropping by our web site today on Spokane homes for sale. Here you will find the most current city homes for sale listed on the MLS. To refine your home search, click on the tab below to change home price parameters or bedrooms and baths. You can also refine the properties criteria by listing date or property status. This will give you the most up-to-date listings to hit the market in city. If you have any concerns, please feel free to give us a call or fill out the contact form at the bottom of the page. Our local Spokane real estate professionals would be happy to assist in any way they can. We are here to help and make every effort to earn our clients trust by bringing local city expertise and value. To help with choosing a local Realtor, we have supplied a link to a list of the real estate brokers on our staff. To make this possible, we have separated all the Spokane MLS home listings into price points. That way you'll be able to very quickly see the houses that meet your price criteria. Sign Up for a FREE Spokane Home Monitoring account. It is quick, very easy, and gives you restricted accessibility to new MLS houses listed in the Valley. You can save your personal favorite homes and personalize your own real estate searches. You'll be in the know, just like a qualified Realtor. Be sure to use our "Smart Search" technology today! What Is My Home Actually Worth In Today's Real Estate Marketplace? Regardless of whether you are looking at selling your house, or just want to discover what your house might be actually worth, check out our "Selling My Home" resource below. This solution will permit you to simply see what properties are selling for in your area, but also let you see closed property prices as well. The easy to use software lets you see average selling price, days on market and much more. Give it a try now and let us know if you might like an expert market value evaluation on your house by one of our neighborhood real estate professionals. Ever Think You Don't Need A Realtor To Buy A House In Spokane? 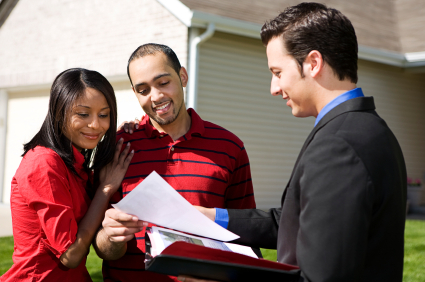 Have you ever presumed maybe you don't need a broker to help you through the home buying process? Many people are now utilizing the world wide web to begin their property search and don't necessarily engage a local area real estate expert until they are ready to prepare a purchase agreement. Many home purchasers think that they can maybe save some money by working with the seller's Realtor and not involve an agent of their own. This is actually not a good way to approach buying one of the biggest and most pricey assets you'll own. First off, our local brokers are totally familiar with the communities in which they work and can be a great source when it comes to what the real estate marketplace is doing, as well as what is going on with the neighborhood and schools. Secondly, you need to have your own representation in a purchase. Composing the written agreement is the easy part. What happens if there are challenges on the property inspection that require more fierce negotiations, or if there are concerns with the mortgage requiring an extension of the closing date. There are many moving components in a real estate purchase, and having somebody who represents only your concerns is a must. Our local Realtors puts our customers needs and interests first, and can be that champion you need in a difficult deal. Be sure to call us today and get connected with one of our local agent team members.